Explore an unusual living world spun from the internet's lost digitial data - powered by PlayStation VR. Explore a colourful living ecosystem born out of big data and undertake a virtual journey of discovery through an immersive and poetic gameplay experience. Somewhere deep down in the vast memory of a data server an ecosystem has emerged. Decades of lost code and forgotten algorithms have accumulated in the eddies and flows of the internet and there a small bubble of life has blossomed. 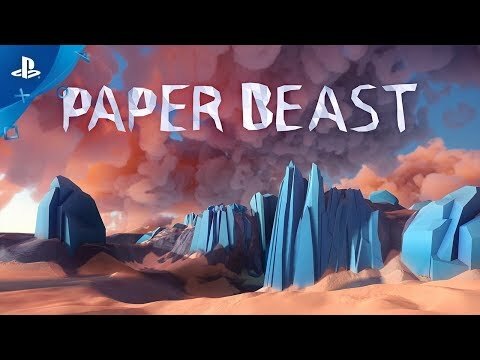 This is the unique and playful world of Paper Beast, teeming with lifeforms quite unlike those you might be familiar with and yours to explore through the power of PlayStation VR. Venture into an untouched digital landscape that hums with its own unique rhythm of life and encounter strange creatures that prowl the land in search of prey.